The outer, superficial layer underneath the pia mater consists of glycogen cells and their processes which form the basal lamina. 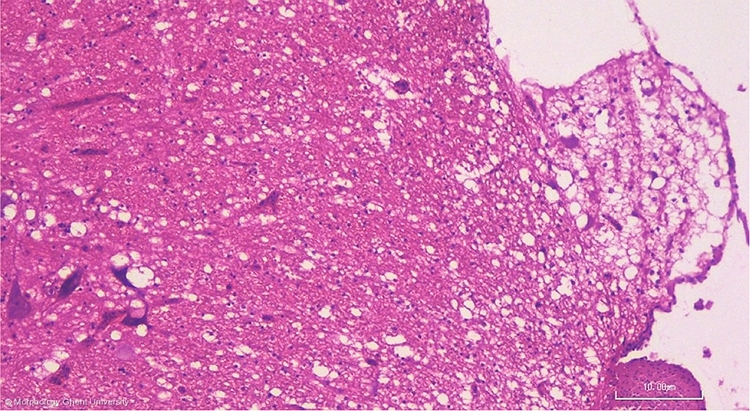 A normal glia limitans made of end feet of astrocyts does not occur. The basal lamina separates lacunae in the accessory lobe from the subarachnoidal space. The basal lamina is only to be seen on electron microscopic pictures. Lacunae: see next picture.